School of Law: As the twelfth oldest law school in the country, one characteristic which sets the Tulane School of Law apart is the breadth and depth of its curriculum, which includes the prestigious Sports Law Program. The Tulane Law School Sports Law Program provides students with the background necessary to understand and handle problems unique to the sports industry. School of Medicine: The Tulane University School of Medicine is among the nation’s most recognized centers for medical education. Three hundred fifty physician specialists train the next generation of doctors, and are available to devote time and expertise to developing state-of-the-art programs for current and former professional athletes. Our affiliation with Tulane Medical Center and the Tulane Institute of Sports Medicine allows access to the latest technology and some of the most renowned authorities in their fields. Tulane Institute of Sports Medicine (TISM): This Institute takes pride in a multi-disciplinary treatment team who support the athlete’s health and safety, both on and off the field. TISM offers clinical exam rooms, x-ray, MRI, a Human Performance Laboratory, Physical Therapy, Occupational Therapy, Speech Therapy, and Neuropsychology services, all provided on-site. The Institute also houses one of eight NFL Neurological Care programs. Added to the Player Care Plan in March of 2010, the NFL Neurological Care Program makes available specialists at medical centers across the country to evaluate and treat possible neurological conditions among retired players. The Program provides facilitated access to comprehensive evaluation and treatment for these disorders. 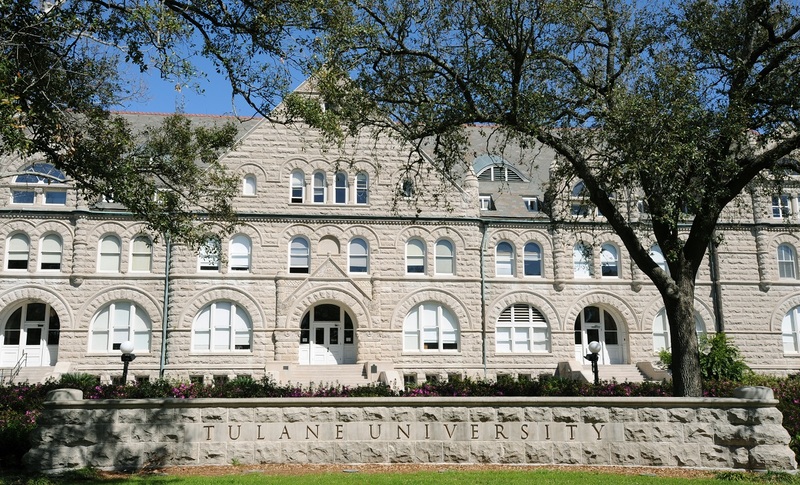 School of Public Health: The Tulane School of Public Health and Tropical Medicine is the oldest school of public health in the country and the only American school of tropical medicine. The school’s mission is to advance public health knowledge, promote health and well-being, and prevent disease, disability, and premature mortality. This is accomplished through education of public health professionals, scientific research of problems, partnerships, and service to the global public health community. Accredited by the Council on Education for Public Health, students, faculty and staff represent more than 70 cultures from around the world. School of Social Work: The School of Social Work boasts a proud history of effective clinical training and powerful community contributions. As human relations experts, faculty intervene across socioeconomic groups to promote healthy human functioning. The faculty includes scholars and skilled and dedicated teachers with varied expertise and experience in such areas as social work practice methods, trauma, substance abuse, adult learning, evidence-based practice, moral development, domestic violence, child welfare, infant, child and adult development, international social work, crisis intervention, juvenile delinquency, social work intervention, group methods, qualitative and quantitative research and many other areas. School of Business: The A. B. Freeman School of Business is a leading, internationally recognized business school, with more than 2,000 students in programs spanning four continents. The Freeman School is consistently listed among the nation’s best business schools and boasts an outstanding faculty, noted for scholarship and teaching excellence in finance, entrepreneurship, strategic management, marketing, international business and accounting and taxation. Center for Aging: This university-wide center was established in the fall of 2007. Its goal is to harness the multidisciplinary resources at the three campuses of Tulane University on behalf of a graying population. This will be achieved through innovative research, education, and service. The Tulane Center for Aging is dedicated to the strengthening of training and service in the areas of geriatric medicine and gerontology in cooperation with the Section of General Internal Medicine and Geriatrics in the Department of Medicine and the School of Social Work, respectively. Our educational activities reach beyond the university and into the community. Neuroscience Program: The Tulane Neuroscience Program brings together researchers from across the University, including from the School of Medicine, the School of Science and Engineering and the Tulane National Primate Research Center, to study the brain and the nervous system in health and disease. The faculty brings expertise in a wide range of multidisciplinary techniques to the study of the central nervous system.